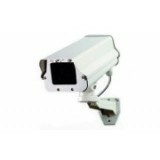 Bullet cameras are a style of cctv security cameras that are tubular, rectangular, or cylindrical shaped, and are weatherproof against anything short of a hurricane or pressure washer. 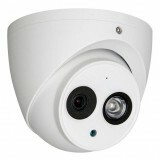 Since 2005 they have become very popular because they can be manufactured at an affordable cost in a weather proof design that also contains the image sensor, infrared night vision, and a bracket built-in to the camera casing. In the past only a professional camera inside of a big beige housing could offer these features. 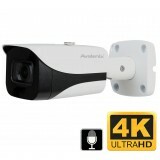 Because of all these features, and the fact that electronics are now a lot smaller, some cameras can even be used indoors like in offices, stores, and warehouses depending on their size. 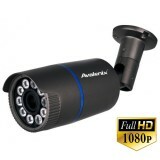 All of the cameras below have been handpicked by our staff at 123 CCTV to be the best bullet cameras on the market due to their weather proof rating. Depending on the model, they can be mounted on ceilings or walls. Best of all, almost all of our cameras feature a SONY CCD image sensor that provides sharp, detailed video images for its resolution. This far exceeds the cheaper CMOS sensor offerings in the market that may be of even higher TV Lines resolution. Remember nothing beats a SONY CCD from 123 CCTV!